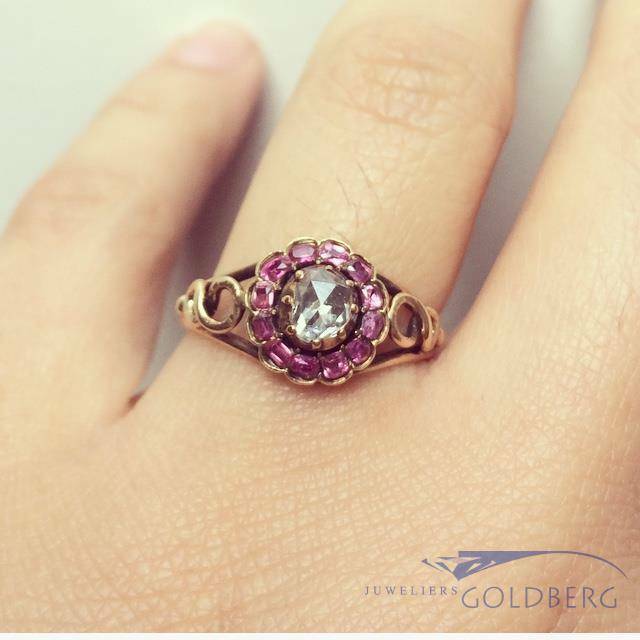 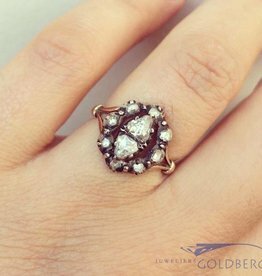 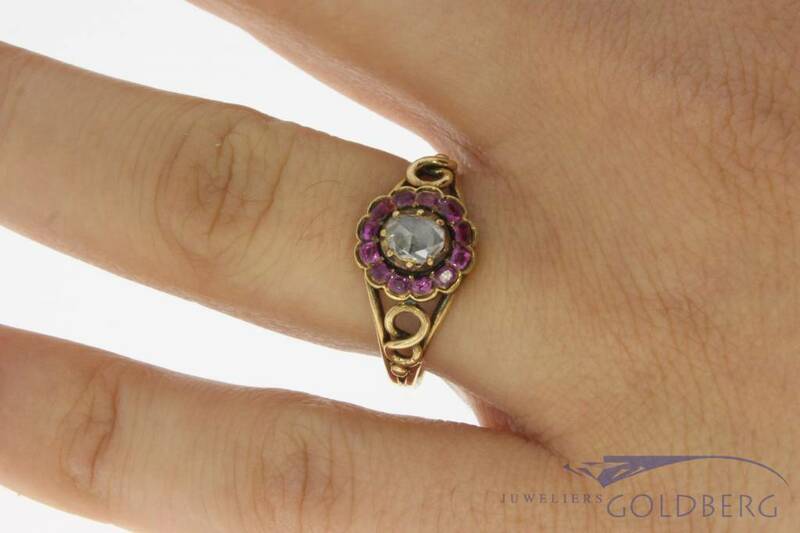 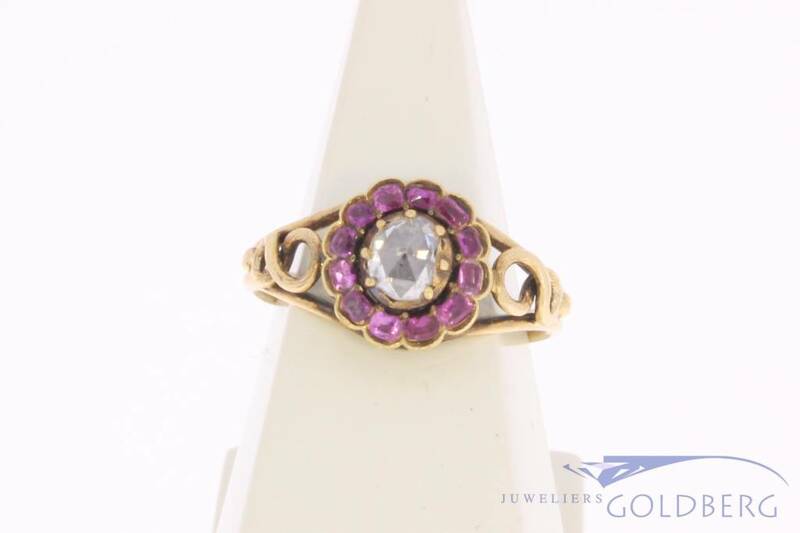 Gorgeous and truly unique vintage 14 carat gold ring with rose cut diamonds and amethyst. 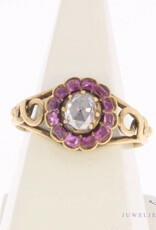 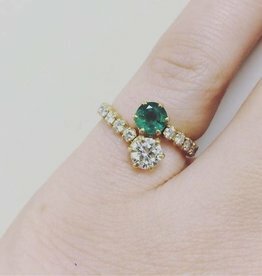 The top of the ring (with the ornament of diamond and amethyst) seems to be old (antique). 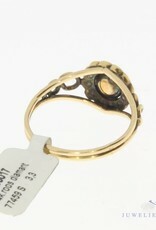 However, the rest of the ring was fastened at a later date. 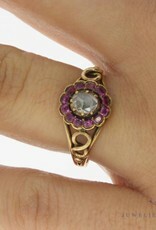 The ring is inlaid with 1 large rose cut diamond and 12 amethysts. 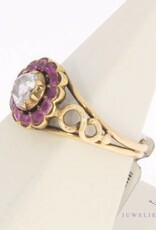 The diameter of the ornament with diamond and amethyst is approx. 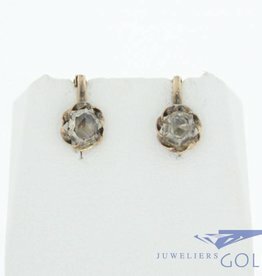 10.70 mm. 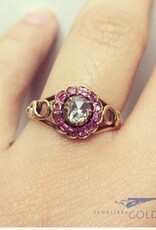 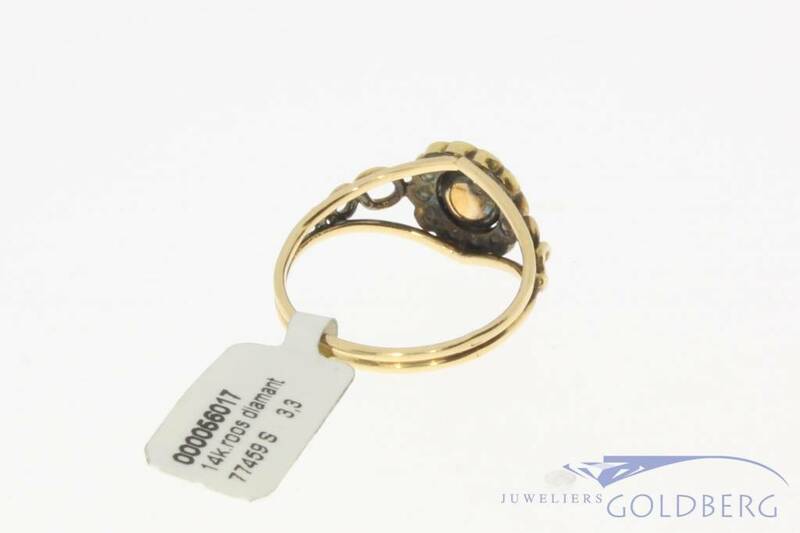 The ring size is 18/57 and the weight is 3.3 grams. 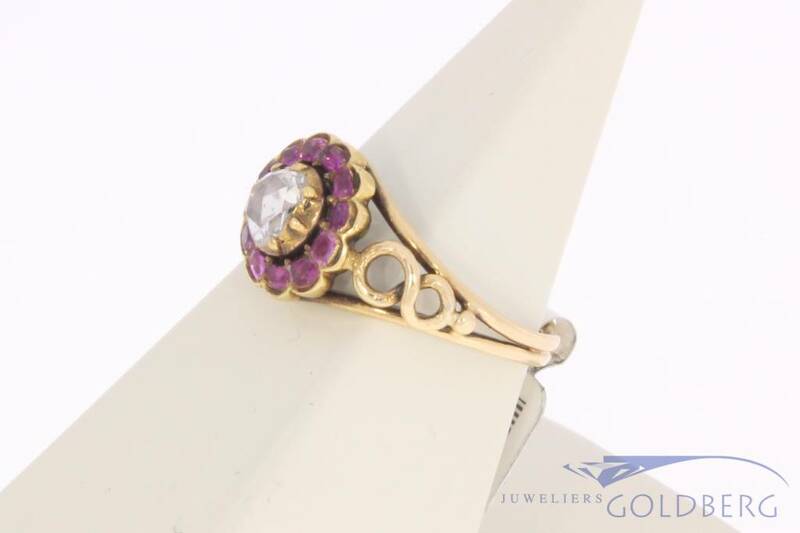 Classic vintage 14 carat gold men's ring with approx. 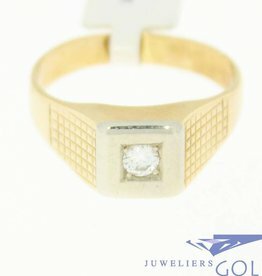 0.16ct brilliant cut diamond.